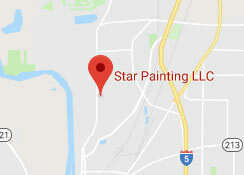 Whether you’re upgrading an existing facility, residence, or preparing to sell, Star Painting LLC helps you increase the value of one of your biggest investments with interior painting in Salem, OR. Our professional interior painting services in Salem, OR aren’t performed by a subcontracted painters, but highly-experienced, detail-oriented employees who are dedicated to their painting craft and the mission of our company. Painting the interior walls of a room involves more than just picking out a nice paint color and splashing it on. There are countless details to consider when interior painting, from how it changes the lighting, what tones it brings out in adjoining tile, the mood it creates, and even how easy it can be cleaned. When Salem clients work with us, they can count on a detailed approach and a high-quality finish on their interior painting. Because we take the time to protect things like doorknobs, trim, and crown molding, we feel confident in guaranteeing satisfaction. We don’t make the mistakes that other painting companies make like skipping over spraying, and not protecting the client’s belongings. If an interior painting project requires more time than we planned, we’re not above working evening hours. No matter what, we keep a line of clear communication with our clients to ensure accuracy and to avoid unpleasant surprises. Talk to us about interior painting projects of any size. 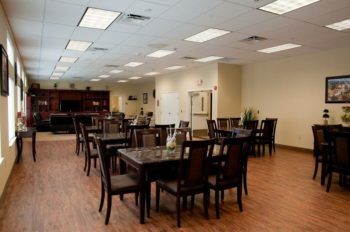 We’re equipped to handle interior areas as large as multi-unit senior care facilities and projects as specific as cabinet staining. If you need help choosing paint colors or paint brands, stop by our showroom and browse through paint swatches and inspiration photos. We offer no-obligation consultations for all of our prospective clients because we want you to feel confident choosing Star Painting for your interior project. As part of Star Builders, our painters are committed to excellence and reflecting our award-winning reputation in everything they do. When clients work with us, they don’t get a faceless, nameless work crew. They get a partner in all things home improvement. We offer more than your average house painter with a complete showroom, a full-time staff, and dozens of awards to our credit. For superior indoor upgrades, Call Star Painting. From remodels, additions, and upgrades to whole-home builds and commercial construction, our work is focused on value engineering; ensuring that your investment leads to increased functionality and returns.